The Acura RL is the flagship car for North America luxury brand Acura — marketed in Japan as the Honda Legend and manufactured in Saitama, Japan. The alpha call-sign "RL" is an abbreviation for "Refined Luxury." The first-generation Acura RL was a similarly rebadged version of the third-generation Honda Legend, and was first introduced into the North American market in 1996 to replace the second-generation Acura Legend. Previous to the 1996 introduction of the first generation Acura RL was the second-generation Acura Legend (1991–1995), equivalent to the second-generation Honda Legend, which in turn was preceded by the first-generation Acura Legend (1986–1990), equivalent to the first-generation Honda Legend. 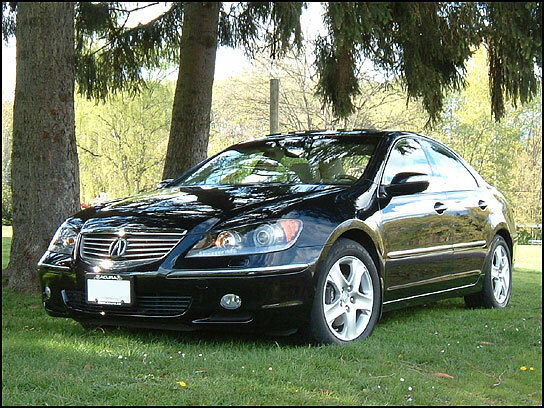 The current second-generation Acura RL is a rebadged version of the fourth-generation Honda Legend and was introduced into the North American market in September 2004 as a 2005 model. This iteration of the RL received an extensive mid-generational facelift for the 2009 model year.